Firing an employee is not easy. Here’s how to fire an employee and some insight into what often happens if you don’t get rid of your bad employees. Take the case of a manager we’ll call Roger. Roger was fuming – and with good reason. Three times in the past four weeks, his shipping clerk had failed to show up to work. He always had an excuse, from his car not starting to having the flu. Roger had enough business problems to deal with. He did not need an unreliable employee. The pep talks and warnings made little difference. It was now time to tell the “bum” to take a walk. Yet keeping bad employees on staff hurts your good staff. It is demoralizing. You will find that your “A players” resent having to work with your “C player” because they have to pick up the slack. Your staff may be wondering why you haven’t fired your bad employee yet – and the good ones may leave as a result of your inaction. Terminating an employee is a distasteful task but sometimes necessary to the health of your business. If you’ve tried to avoid layoffs, telling a worker to look for a new job because business is slow is not easy. If this is your first time handing out a pink slip, you may well have knots in your stomach expecting an unpleasant scene when firing an employee. It can be even more difficult if the dismissal is because the employee just cannot perform the job satisfactorily. Even if the employee is at fault, firing an employee is not a pleasant chore. And if the employee is a friend or family member, you can count on hurt feelings and the possible end of the relationship. Letting an employee go is not one of the joys of entrepreneurship. But as an employer, you must learn how to fire an employee. 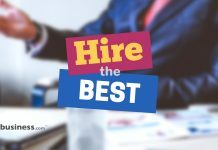 Did you create the problem by hiring the wrong person? It would be easier for you if your employee could change so that everything would work out. Unfortunately, that is more wishful thinking than reality, leaving you with the choices of do nothing – not wise, encourage or reward change, or use fear. Can you salvage the situation? An employee review process might help. Be sure your dissatisfaction with your employee is not your fault. Does the person understand what is expected? Do you treat all employees fairly? If you are on the mark with your management skills, maybe such motivational techniques such as recognizing and rewarding performance will help. Question your employee – attempt to uncover the reason(s) for a less than a stellar performance. Knowing how to fire an employee is very important. Document your attempts to fix the situation. On your first try, a verbal warning is usually sufficient. Enter a note in the employee’s file with the date and time of your discussion and the points you covered. Include any ancillary information about their acknowledgment or behavior towards your warning. If the situation persists, issue a written warning. Keep a copy in your employee’s files. If the employee tries to sue you for wrongful termination later, your records will be critical. If you get nowhere and merely add to your frustration, you know what you must do. The sad part of trying to correct employee behavior is that it often does not work. The employee may temporarily change his or her behavior, don’t count on it lasting. It may be an act. You may think your problem is solved. Surprise! A week later things are back to normal. Unless there is a strong inner drive, lasting change is difficult, near impossible. Fear, such as loss of a job, only brings a temporary change – as soon as the crisis is over, back to old habits. When you break the news, be on guard for the possibility of anger, even violence. If for any reason you are fearful of your employee’s reaction, have someone with you. Don’t postpone it, lie about the reasons, or dilly-dally around the situation hoping the worker will quit. This is the moment to show leadership and courage. Failing to take action may cost you the respect of your other employees. Don’t let your feelings stand in your way. The longer you allow him or her to remain on the job, the more unfair you are to your employee and yourself. As much as you may dislike it, confrontation is part of how to fire an employee. If you are required to give a two-week notice, do so, but issue a check for the two weeks, telling your ex-employee to collect any personal items and leave your business that day. Otherwise, a disgruntled employee hanging around for two weeks can poison the atmosphere of your business with bitterness. Deliver your message, politely, firmly and without emotion. Say goodbye. Whatever the reason – the market, your finances, or your dissatisfaction – when the ax must fall, do it promptly with frankness and fairness. It is part of the price of owning your own business.